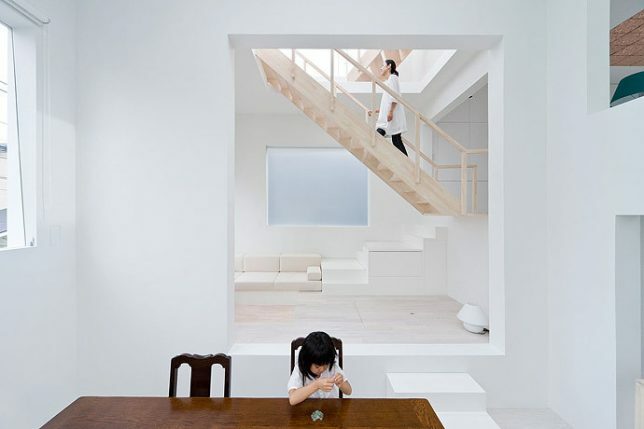 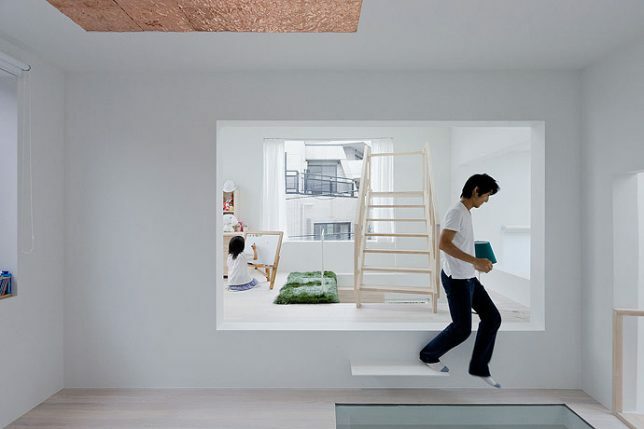 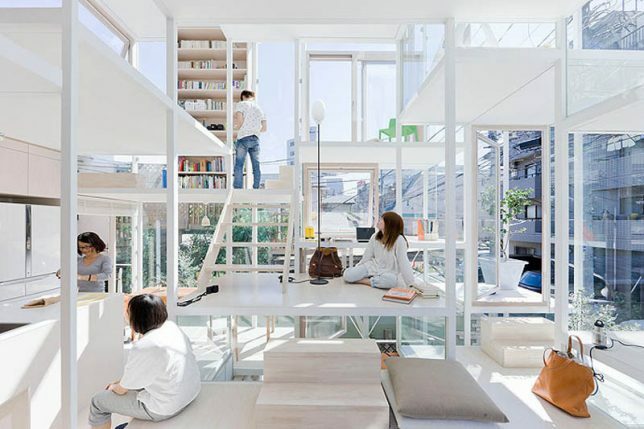 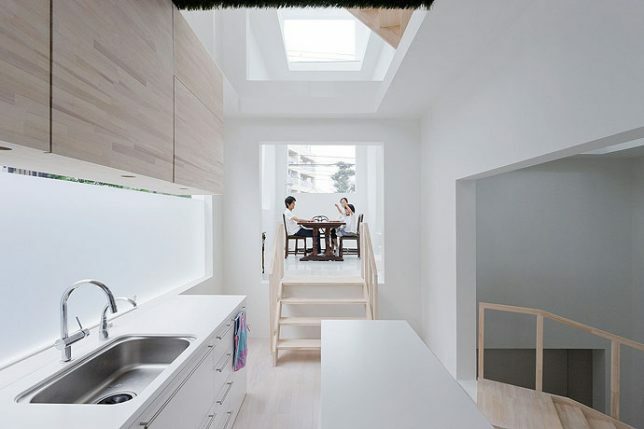 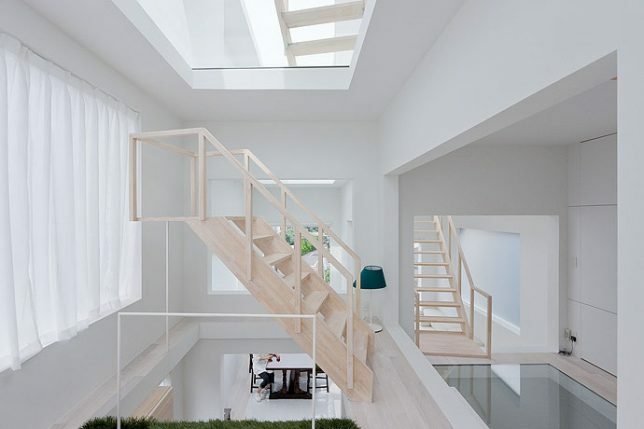 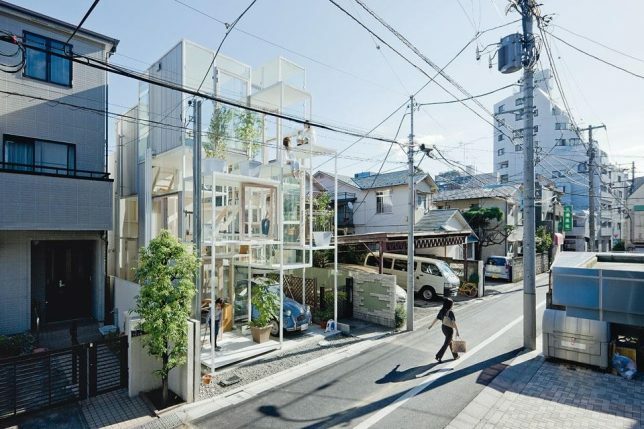 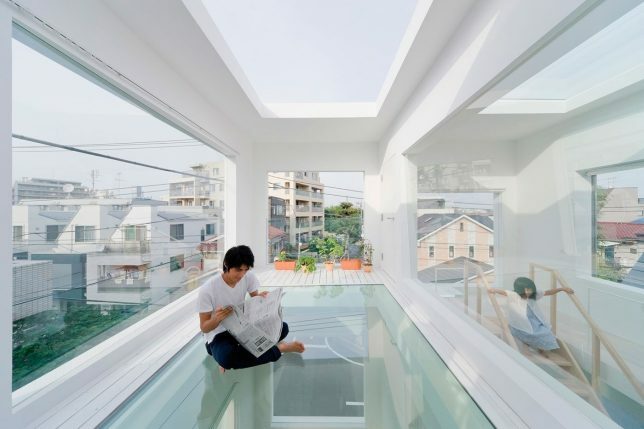 Fujimoto envisions this home as having “the imaginative three-dimensionality of an Escher image” within a geometric order, with a succession of voids creating relationships between each of the spaces. 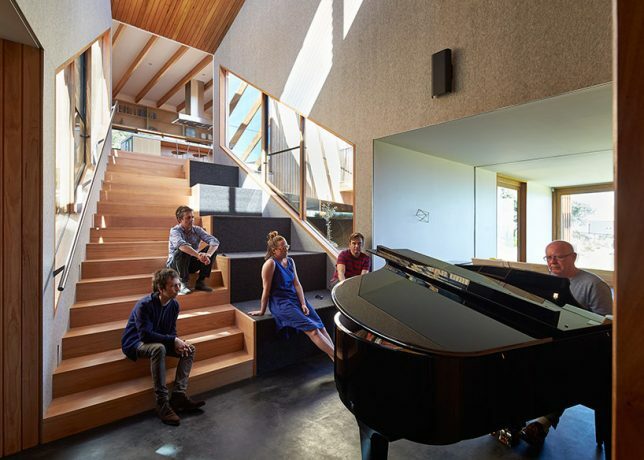 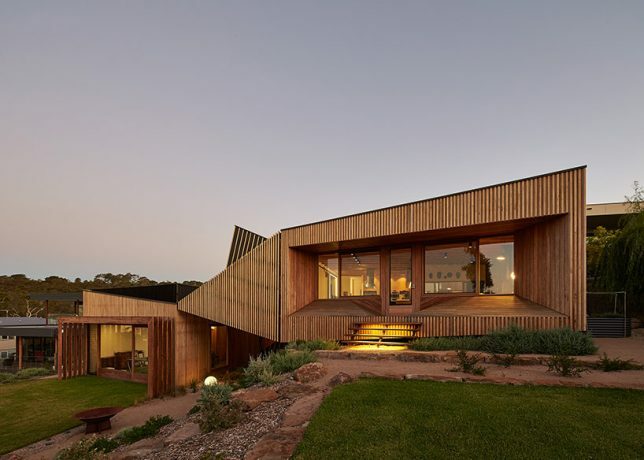 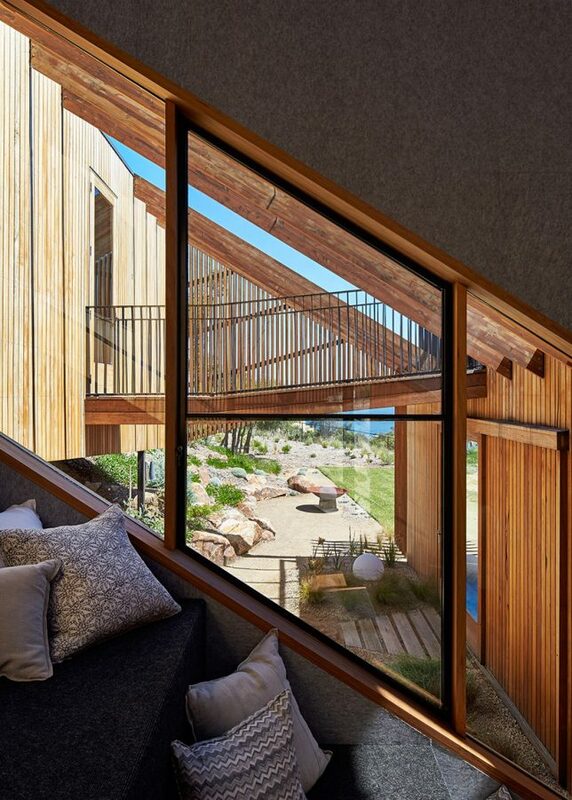 The sloping site for this home overlooking Port Philip Bay in Australia gave BKK Architects an idea: designing a series of volumes that tumble down the hillside, leaning on one another like boulders. 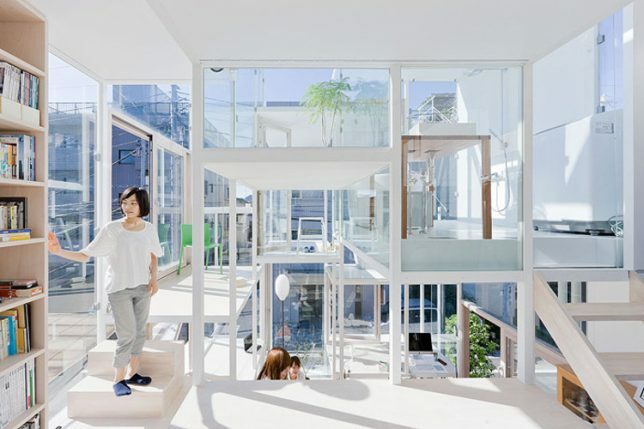 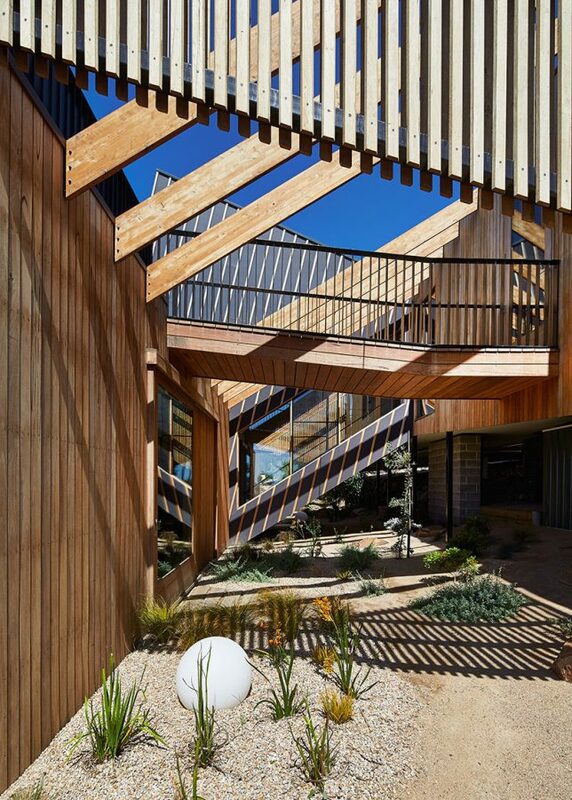 Not only did this produce interstitial outdoor spaces connecting one volume to the next, but also inspiration to turn stairways and in-between levels into multifunctional spaces.